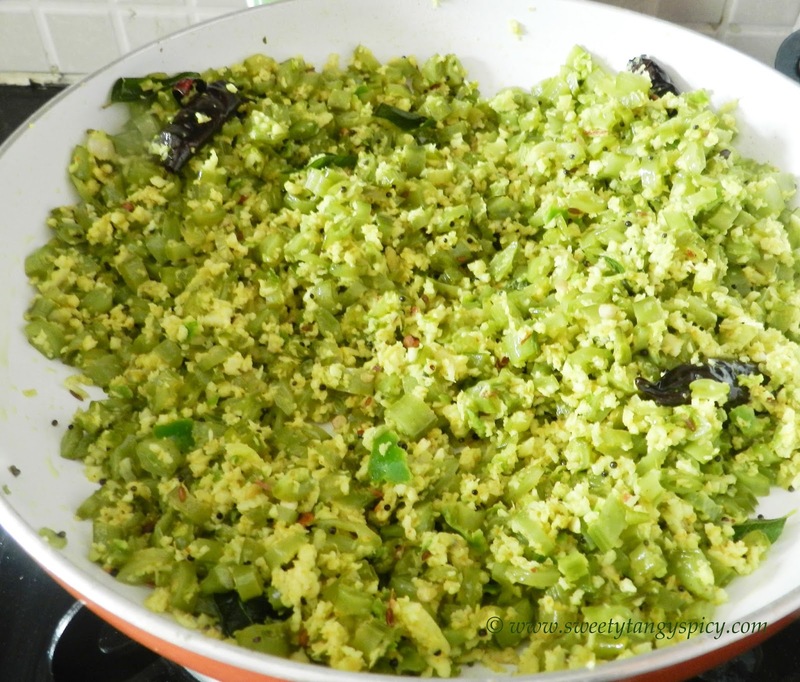 I have already posted cabbage thoran recipe a few weeks before, today I will post another thoran recipe which is a very common dish of our house, kothamara thoran. The beans shown in the photos are the cluster beans or gour beans which is known as kothamara in Malayalam. 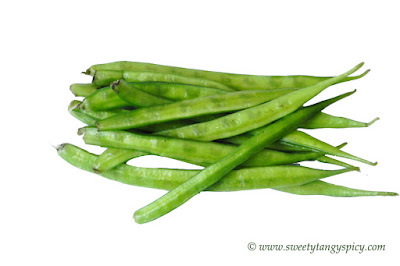 It is a very common vegetable of South India. Here I am explaining kothamara thoran, normal dish of Kerala houses. It goes really well with rice. I make it quite often for my hubby. 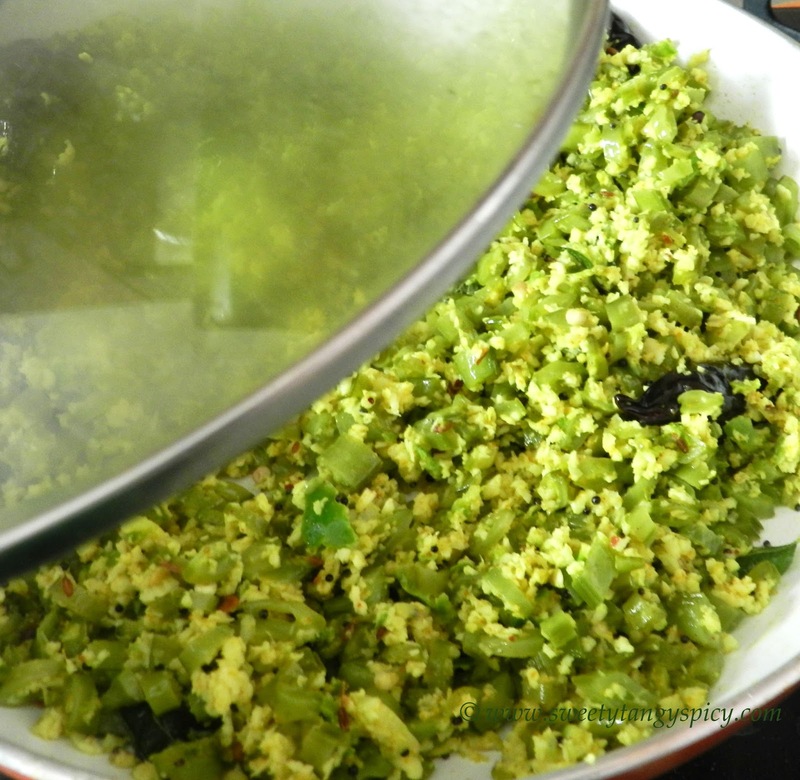 The cluster beans have a slight bitter taste which is toned down by adding grated coconut and green chilies. This is very rich in dietary fibers, it will be good to include this one in our daily menu. Trim ends of cluster beans and chop them into small pieces. It will be around 2 cups. Transfer into a pan and add around 3/4 cup water and enough salt. Once it starts to boil, reduce the flame to low and cook covered until the beans turn soft and all the water evaporates. 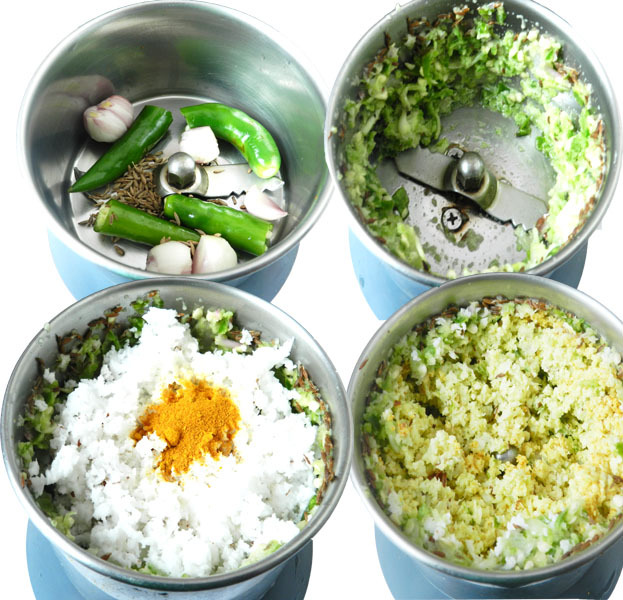 Meanwhile, take two to three green chillies in a mixer grinder and crush it, then add 1 cup grated coconut and 1/4 teaspoon turmeric powder. Crush once again and keep aside. Now we will prepare the thoran. Heat oil in another pan, splutter mustard seeds, saute curry leaves and red chillies for a minute. 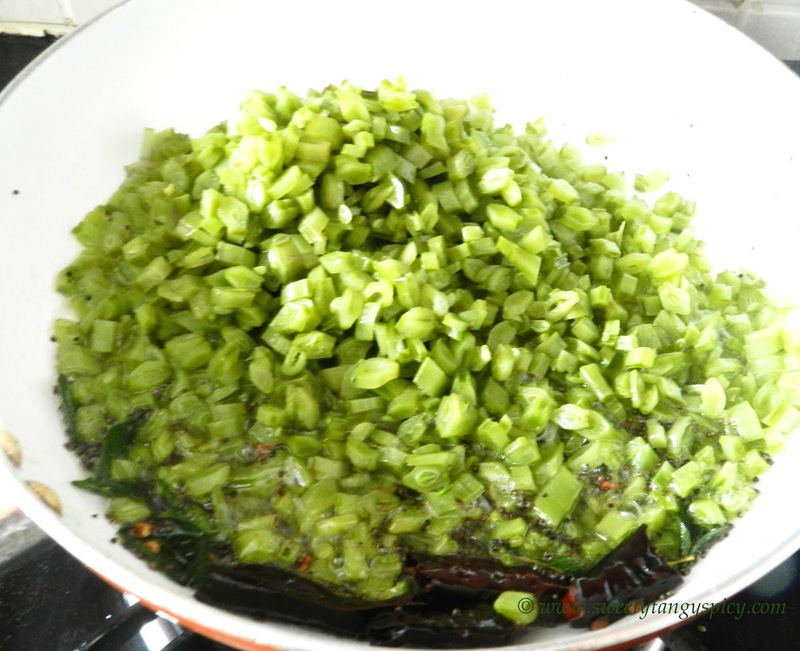 Add cooked cluster beans and saute for one or two minutes and make it dry. Add crushed coconut and mix well. Cook covered for one or two minutes till the raw smell leaves. 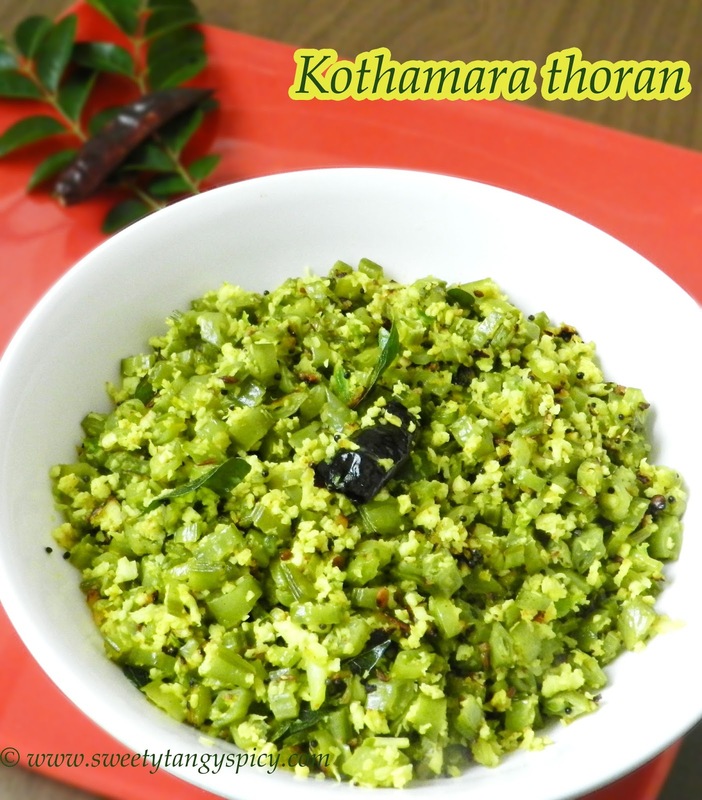 Kothamara thoran is now ready. Serve with rice. 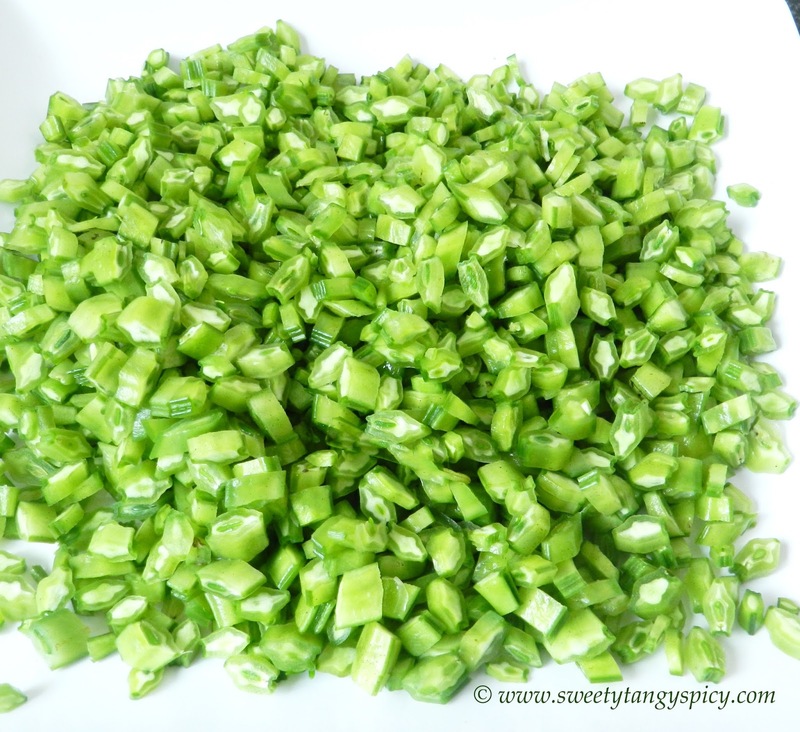 Chop gour beans into small pieces after trimming both ends. 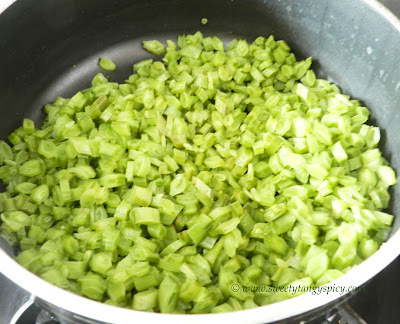 Cook the chopped beans on low flame with enough water and salt till all the water evaporates and the beans being cooked. 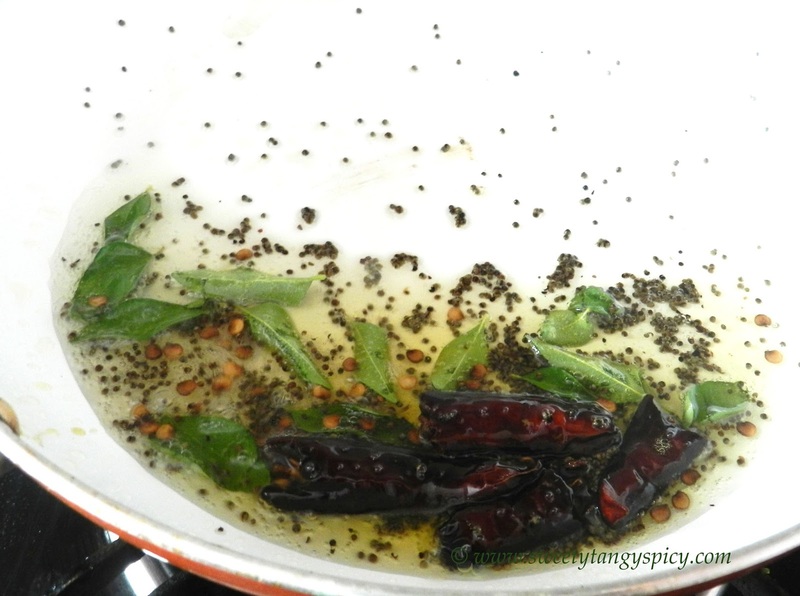 Heat oil in another pan, splutter mustard seeds, saute red chilies and curry leaves for a few seconds. 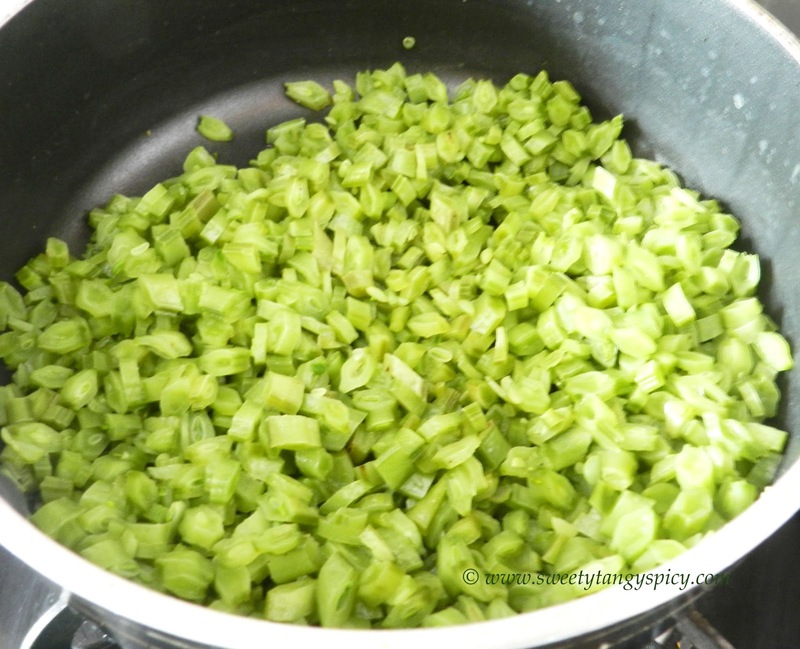 Add cooked beans and saute for two three minutes on low flame to remove the water content. Crush shallots, green chillies and cumin seeds in a mixer grinder. 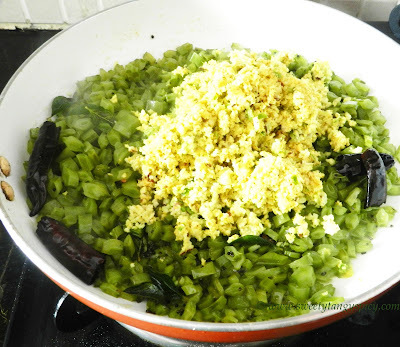 Then add grated coconut and turmeric powder and crush again. 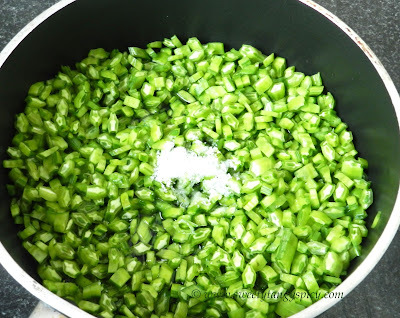 Add this crushed coconut mixture to the cooked beans, mix well. Cook covered for two to three minutes till raw smell leaves. That's it. Serve hot with rice.